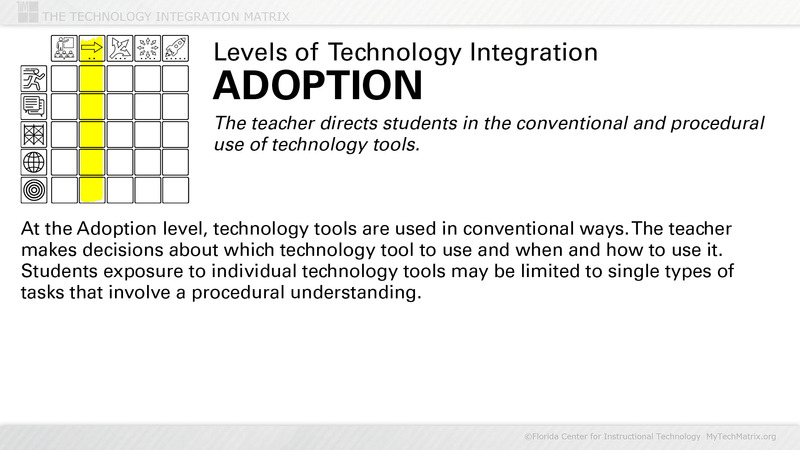 Presentation slide with text describing the Adoption level of technology integration.Adoption is the second of five levels of technology integration identified in the Technology Integration Matrix. 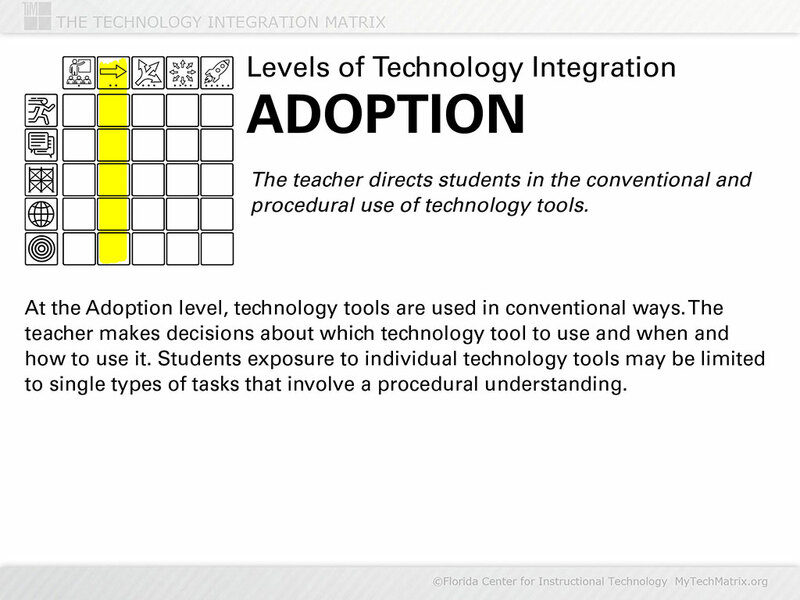 At the Adoption level, technology tools are used in conventional ways. The teacher makes decisions about which technology tool to use and when and how to use it.